Phantom job postings are for supposed job openings that are not open at all. They are a cause of ongoing frustration for many job seekers, and there are various reasons why they exist. In this scenario, there is a job opening, but it already has been filled through informal networking processes. However, the public job posting is a mere formality undertaken to comply with human resources department rules that mandate the advertising of open positions. In such a situation, people responding to the formal public job listing actually have no chance at all of ever landing the position. Not only are they wasting their time in applying, but they also do not know that they are. In some cases, however, applicants for such phantom jobs actually be putting themselves under consideration for future openings, if their credentials are impressive enough. This is most likely in situations where the job posting is being worked upon by a recruiting firm (also known as a job placement or headhunting firm) and the applicant has made contact with a member of that firm's staff. Even if the job is indeed filled through an open and competitive process, sometimes a recruiter or job board may not be informed of this in a timely fashion, and thus the posting may persist after the job has ceased to be open. This is less likely and less excusable in the case of job postings maintained by the human resources department on a company's own website, but such errors are indeed possible and do occur from time to time. 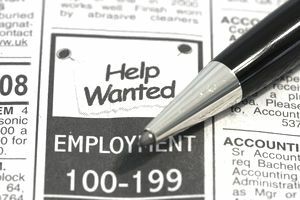 Likewise, a job opening may continue to be advertised erroneously even after it has been eliminated, such as due to a hastily imposed budget exercise. Some companies have frequent needs to fill job vacancies on a timely basis, as the result of a regular turnover. In some of these cases, these vacancies stretch across broad categories of jobs. As a result, these employers often advertise for such jobs before the openings emerge, to secure a pipeline of qualified candidates that can be tapped in a hurry once the need arises. In this case, a job applicant may find that the advertised job is not currently available, but instead may be so at some indeterminate time in the future. In some cases, the hiring company may have hiring needs in various areas, but only the budget to add a subset of these people. Once the aggregate hiring limit has been reached, the remaining job postings effectively become null and void. Applicants for the latter then will find that they have been seeking jobs that have vanished. Becoming known as a company that regularly makes phantom job postings is likely to have a highly negative impact on outside reputation and internal morale. The most highly qualified external candidates, those with the widest employment options, are bound to shun a company with a reputation for dealing in bad faith with applicants, by advertising openings that do not really exist. Similarly, employees will become demoralized if they do not believe that they have a fair chance at advancing internally and if promotions appear to be tainted by cronyism and internal politics. Source: "Ask-A-Recruiter: Phantom Job Postings," by Caroline Ceniza-Levine of SixFigureStart as published on theglasshammer.com, April 8, 2009. The Glass Hammer is an online community for women in financial services, law and business.